Manchester United forward Marcus Rashford is showing maturity beyond his years and can be a "top-class" player in the mould of Cristiano Ronaldo and Wayne Rooney, interim manager Ole Gunnar Solskjaer has said. 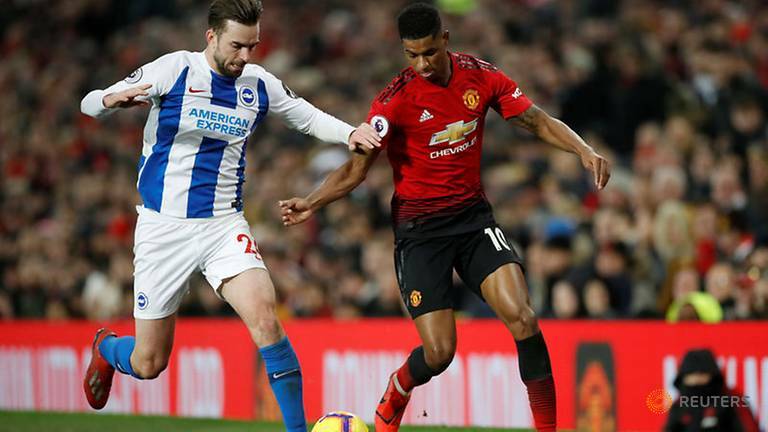 Rashford scored in Saturday's 2-1 Premier League win over Brighton and Hove Albion to take his overall tally to 41 goals in 150 appearances since making his debut in 2016. Rooney, the club's all-time top scorer with 253 goals, had scored 59 in his first 150 appearances, while Ronaldo had scored 31, and Solskjaer said Rashford was playing at a similar level to the duo at the same stage in their careers. "Definitely, he can be absolutely top-class," Solskjaer told reporters when the comparisons were suggested to him. "He is only 21 but the maturity he is showing at times is more than 21. "The way he works during the week is fantastic because he practises a lot. You can't kick him and keep him down. It is a pleasure working with him."